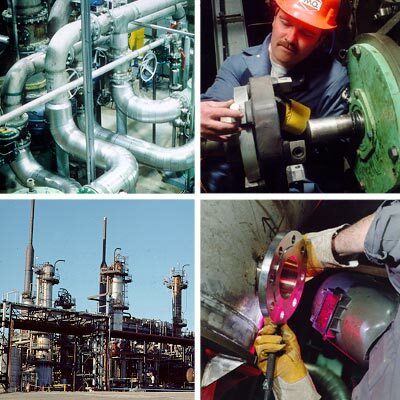 Marque Construction's process piping division has extensive experience in the rigging and installation of production equipment, process tanks and vessels and all auxiliary components. We employ qualified and experienced journeymen to provide the best multi-trade team for each particular job. Marque has a modern pipe fabrication shop to manufacture both carbon and stainless piping for various industries. This shop is equipped to handle large bore piping spools and to manufacture complete skid mounted piping modules. The company provides complete process piping supply and installation services to handle projects of almost any size and scope. Marque Construction is proud to be a member of the following associations.